The European Union is set to end the navy patrols aimed at preventing migrants from making the perilous sea crossing from North Africa to Europe. Instead it will extend air patrols. 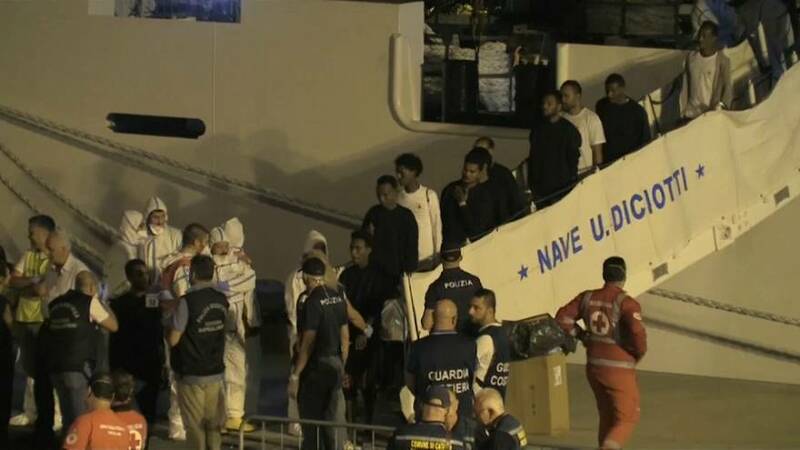 It's a compromise aimed at Italy, which has said it will no longer receive those rescued at sea. The United Nations says almost 2,300 people died trying to make the crossing last year. Euronews' correspondent in Brussels, Jack Parrock, says it's estimated that 45,000 lives have been saved by the patrols, known as Operation Sophia. However, the operation has been controversial. He said: "There are many governments in the European Union that believe it encourages people to board boats on the Libyan coastline and be smuggled into the European Union because they think they will be saved by naval vessels in the Mediterranean." Italy has called on other countries to open up their ports, but no other EU states have come forward.